Well, the world has finally managed to blow itself up. Only Australia has been spared from nuclear destruction and a gigantic wave of radiation is floating in on the breezes. Only two months are left. One American sub located in the Pacific has survived and is met with disdain by the Australians when it arrives. All of the calculations of Australia's most renowned scientist says the country is at doomsday - get ready. However, one of his rivals say that is incorrect. He believes that a 1000 people can be relocated into the northern hemisphere, where his assumptions indicate the radiation levels may be lower. The American Captain is asked to take a mission to the north to determine which scientist is right (and along the way check out the devastation in Alaska and California - seemingly all bodies and vehicles were disintegrated). However, before the mission, all kinds of bland soap opera relationships are played out. Brown and his ex-fiancée battle it out in a love-hate relationship. Meanwhile she also takes a liking to Assante, who is divided in his loyalties to his men and his love for his now-dead wife and children. Written by John Sacksteder for IMDB. 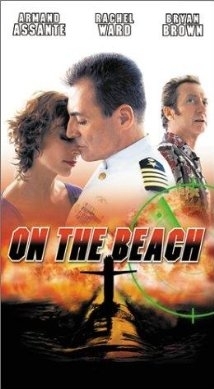 Nevil Schute's novel On the Beach was adapted for the screen as the 1959 film (Stanley Kramer) and later as a TV movie (Russell Mulcahy, 2000). Moira's seaside farm is located somewhere along the Great Ocean Road. Dwight: "Are you trying to kill someone?!" A young father murmurs an apology as he drives his car off the cliff at Cape Patton Lookout to prevent his young family suffering from radiation sickness. Driving back from their romantic idyl at Moira's cottage on the cliff overlooking the sea, Moira and Dwight nearly collide with a car blocking the Great Ocean Road at Cape Patton. 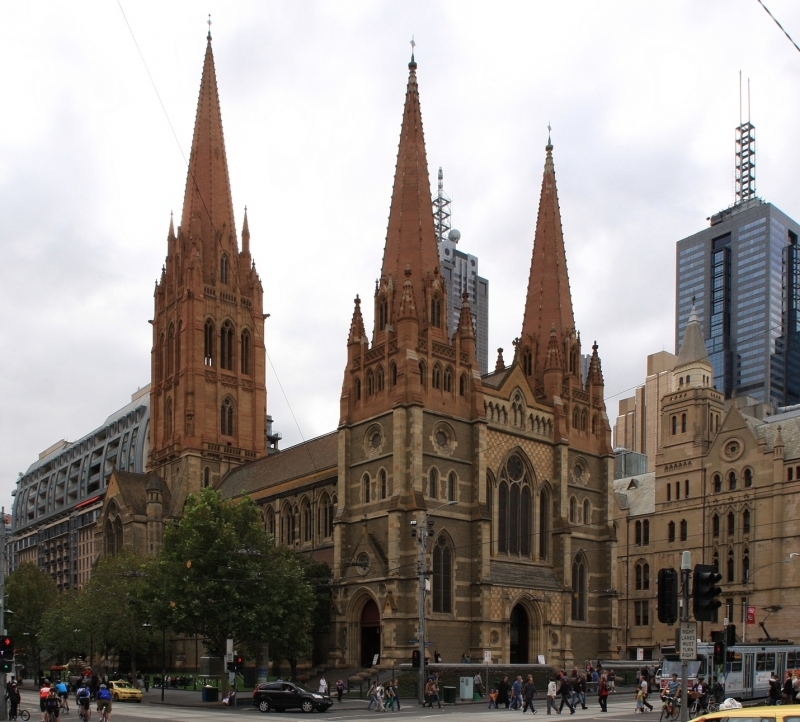 The iconic spires of Saint Paul's Anglican Cathedral on the corner of Flinders and Swanston Streets are visible in the opening scenes when the American submarine troops first arrive in Melbourne. Pedestrians are bustling past the Flinders Street Station amidst burnt out wrecks of cars as looters vandalise shop fronts. As in the 1959 film, the remake also shows American submarine troops arrive in the deserted forecourt of the State Library of Victoria, where a large banner states "There is Still Time." When the world ends, the Melbourne trams and trains keep running. Moira (Rachel Ward) and Dwight (Armand Assante) bid each other g'day and farewell on the train platform several times, at least once from Flinders Street.